The Mountgrange Heritage Directors not only run the business but also own it. This means they are personally invested in the success of Mountgrange Heritage and the service it provides. They are immensely proud of the business and every decision is made for the benefit of clients, not shareholders. Liz joined the Lettings Department of a well-respected local agent at the age of 25. Having studied modern languages and business at university, she had always thrived in a sales environment. Within three years she was running the lettings team and had amassed a tribe of loyal clients. 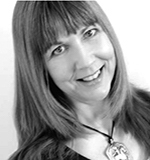 Now with over 25 years in the business, Liz has a well-deserved reputation as a big hitter in the local lettings market and unrivalled experience of dealing with Landlords and Tenants. 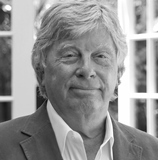 Martin is a Chartered Surveyor and has over 50 years experience in the property industry. 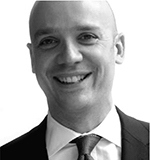 He commenced his career at Jones Lang Wootton (now JLL) becoming its youngest equity partner. 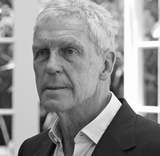 In 1983 he co-founded Arbuthnot Properties which later reversed into Imry Holdings and then into Imry International. As a Chief Executive Martin grew the company from circa £100 million to £377 million at which time it was sold to a private consortium. Later on he co-founded the Trillium Group with the backing of Goldman Sachs which was eventually sold to Land Securities. Martin has recently co-founded a private real estate opportunity fund in which he remains a senior partner. Roger has been an influential figure in the prime London property markets for a little over 40 years. Roger’s astute commercial acumen is second to none and he has been involved in numerous high profile and highly successful property transactions both commercial and residential. Roger is a founding shareholder in the company and has provided invaluable insight to assist the day-to-day running of the business which, in turn, has been instrumental to the growth and success of the company.